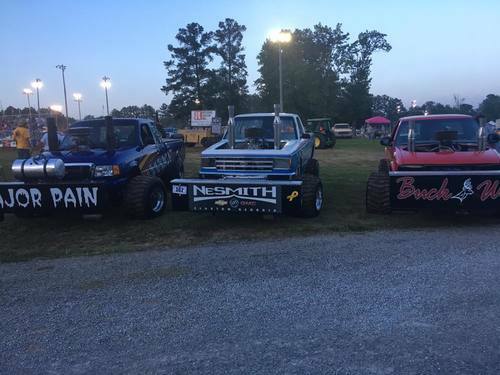 Family time couldn't be more revved up and full of mud than the annual Ardmore Tractor and Truck Pull hosted by the Ardmore Lions Club at John Barnes Park in Ardmore AL/TN starting Friday and Saturday at 7:00PM. From I-65, take Exit 1. Turn onto TN-7/Main Street. Go 2 miles, Hamlett Street on left then follow to John Barnes Park. Ardmore is located in the Huntsville & Decatur Region of North Alabama. Be sure to check out places to Go, Eat, Stay, and other events in Ardmore.